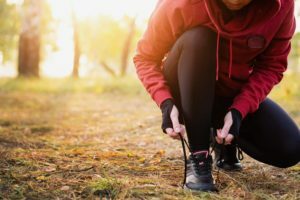 Usually, runners want to keep track of 3 essential things. These are the pace, the distance, and the time. You don’t have to acquire separate gadgets to monitor all these. What you need is a superior running watch. Nowadays, running watches are more complicated. They now have many different functions. However, their prices have gone up significantly too. Don’t lose hope though; there are still some fantastic watches out there which are under $100. Just because something is cheap, that doesn’t mean it’s inferior. You can use some of these watches to tell you how much time elapsed as you were running. There are also affordable watches, which you can use to record lap splits. Some even have GPS trackers while remaining easy-to-use. These are examples of convenient features you can source. Try to find them when selecting for your next running watch. In this article, we have reviewed some of the best running watches under $100 for you. Each of these products will help you out as you run. Go through them and maybe you’ll find what you need. This unisex fitness band will track your daily activities, alert you of an incoming call, and remind you to be active after a prolonged period of inactivity. It receives silent alarms that only you can hear. Similarly, it sends and receives notifications from other social media apps directly on your screen, and controls your music playlist while exercising. It is available in blue and black band variations. The waterproof pedometer watch will accurately record your activities, track your heart rate on a real-time basis and receive your SNS and SMS notifications on your wrist without you having to walk around with a mobile phone. Its lithium battery is rechargeable via a built-in USB plug and lasts up to seven days when fully charged. 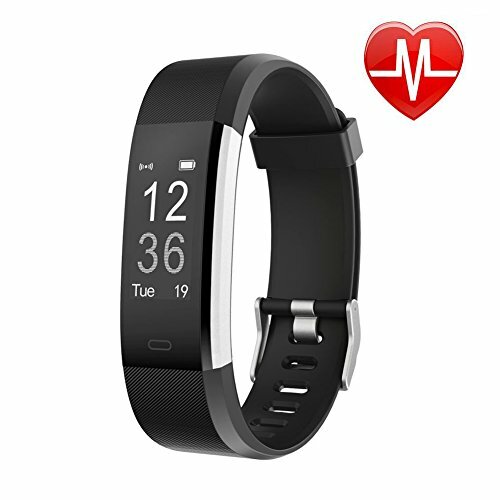 It provides you with all the essential monitoring functions of a fitness tracker at less than $100. 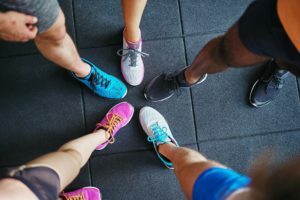 Its iOS and Android App support are easy to use like when you want to connect to Google Health. Garmin, the Swiss data tracking hardware company, has made its entrance to the low-end fitness tracker niche with the launch of the Garmin Vivofit Fitness Band. While retailing at an average price of less than $100, this 24/7 wearable band will help you to stay fit by assigning you a personalized fitness goal daily based on your past activity levels. 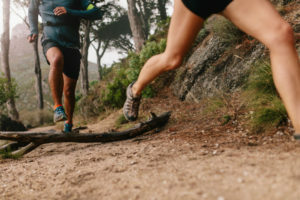 You may then save, plan, and share your milestones on Garmin Connect, an online platform for sharing health and fitness data. 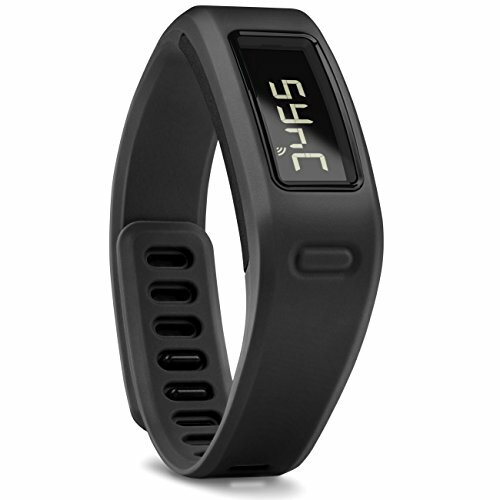 Use the band to monitor your calories consumption, sleep activity, and distance traveled. The band is water-resistant, which relieves you the worry of being caught in the rain. Additionally, you can go swimming or be diving up to 50 meters underwater. It has a one-year plus battery life and a simple user interface. It is compatible with other heart rate monitors, and most fitness related Apps. Activate sleep mode, and the band will monitor your sleep hours. The band weighs 25.5grams and is available in both small and large band size varieties. However, this flexible rubber band is not durable making the whole device look cheap and uncomfortable. The fitness tracker is also not very accurate in tracking running. This high-end fitness tracker comes with eight pre-programmed exercise modes plus, you have the option to add 6 more sports modes to it. 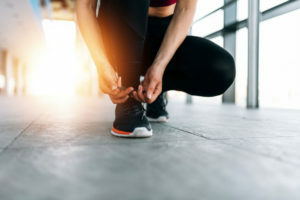 You can do the activities while monitoring your heart rate, the calories burned, steps taken, and the total amount of time you’ve been active. Whether you are running, on the treadmill, doing yoga, badminton, football, climbing, hiking or even basketball-training sessions, this pedometer will synchronize your fitness data including a history of your heart rate to other health monitoring devices via Bluetooth. It weighs below 30 grams and has a 0.96” OLED display touchscreen. It takes one hour to have the polymer lithium battery fully charged yet it can last for up to 1 week before recharging. You can quickly view your calls, SMS, SNS reminders, sedentary reminders, remote camera shoot, and silent vibrating alarm by just directing your pedometer towards you and its sensors shall be quick to light up the display screen. The pedometer comes with a one-year warranty. The Letufit plus Activity Tracker with Heart Rate Monitor tracks your activities throughout the day. When it’s time to sleep, you can use it to track your sleeping pattern too. It’s a great watch to have if you want to monitor your health constantly. It also serves as your alarm. Keeps track of your heart rate automatically and continuously. Monitors your sleeping patterns and serves as your alarm. Tracks your activities throughout the day to keep you updated. Connects to your phone for the GPS tracking, SMS notification, and other cool features. The battery runs out quickly. Doesn’t track the heart rate continuously. 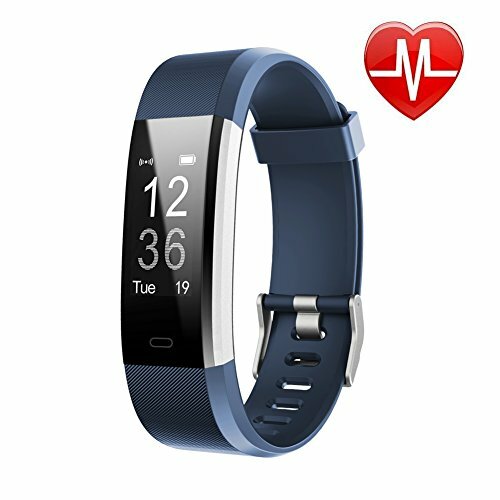 If you are looking for a heart rate monitor that will motivate you to do more towards your fitness goals, then you ought to get your hands on Letscom Fitness Tracker. This monitor is a Bluetooth tracking bracelet that has a black, green, purple or orange removable rubber or silicone replacement band. You can use it to receive calls, monitor up to 14 different exercises and get reminders about your daily fitness goals. When paired with a mobile device through GPS, its built-in sensors record and relay data relating to your heart rate, breathing rate, stress level, miles covered, and calories burned directly to your mobile device. It has a waterproof screen with an inbuilt weather forecast display ideal for swimming and diving up to 3 meters deep. This OLED 0.96 Inch touch screen, in both portrait and landscape mode, automatically lights up when turned towards you. The tracker has a USB connection that you may use for charging the Lithium battery. And by the way, its battery lasts up to a week when fully charged. On the flipside, however, this tracker is not compatible with PCs, Ipads, or Tablets. With a budget of under $100, you can’t take chances with your fitness watch. So what exactly do you look for? 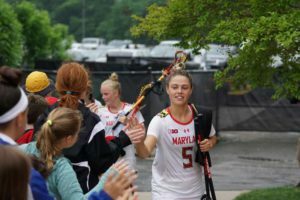 What type of sports do you engage in? If you’re a professional runner, you need an advanced running watch. If you run for recreational purposes, a simple watch capable of tracking your daily steps will work just fine. Similarly, if you engage in water sports regularly, you need a waterproof pedometer. 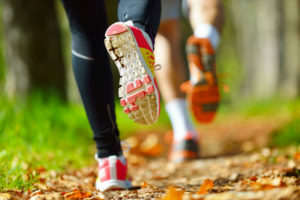 Are you after perfecting your running pace or are you running for health? With the latter, you need a watch capable of monitoring and analyzing your cardio-activity. 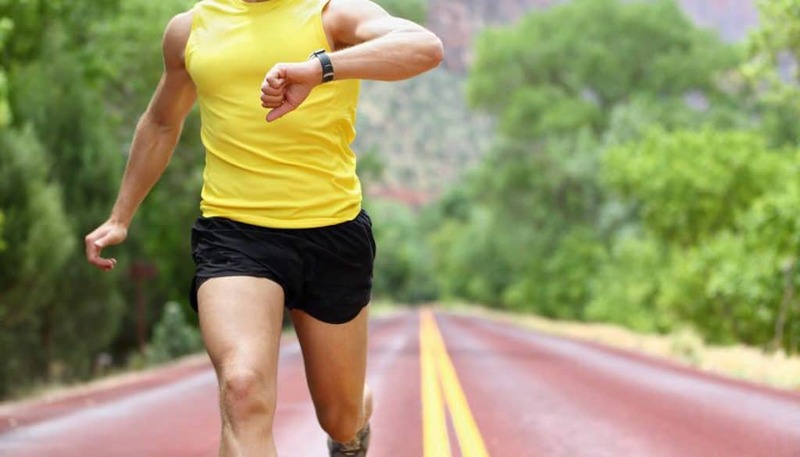 If you are running to lose weight, you need a watch that can monitor your calories. 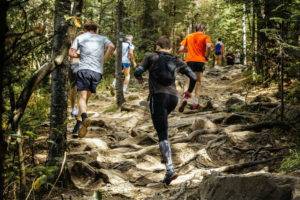 Do you run along the driveways or in the mountains with a rough terrain? Or are you exercising indoors with a treadmill? Different watches offer different capabilities. For rough outdoor terrains, get a watch with an altimeter to record your vertical gain. Our top four choices of the best running watches under $100 have all of these features. Which is your favorite model? This is a great review of these Activity Tracker Watches. I’m not familiar with these types of watches, however, I’m amazed by all the different features and functionalities that they possess. They all have their pros and cons but how accurate is the data that they are providing? Does any of these watches provide more accurate data than the others? Yes, it is a lot of things to think about when you choose a watch. Like I say in the review, it is 3 things which is the basic for must runners. These are the pace, the distance, and the time. I think is is very accurate but you need to had in mind that it is newer 100% except the time. There is so many things which had effect on it. But about the second question, about if one watch is more accurate than the others, these watches in my opinion is very similar. 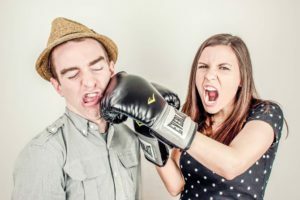 So it is not a factor to have in mind when you choose between the watches. Awesome review! This is just in time for me as I was looking for a new running watch. I like that you provided the pros and cons so that I can decide better which watch suits me best. After going through all the watches, I think I might be going for Garmin vívoactive Black as I am looking for a watch with longer battery life as my previous one didn’t last too long. Thanks for your sharing! Garmin vívoactive Black is a great choice. Like you have noticed, battery life is very important and Garmin vívoactive Black is famous for very long battery life. This comes right in time. My husband used Mio running watch but after a year of use it just suddenly stopped and no-one could bring it back to life. So I am looking for a new one. 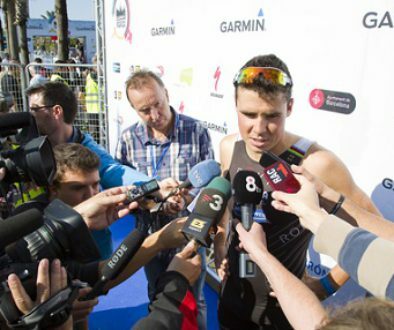 Garmin vívoactive Black seems a perfect choice for him as it looks good, performs good and the brand speaks for itself. I like the option to choose if pay little bit more to have the heart rate monitor or pay less and don’t have it. My husband doesn’t need the monitor as he already knows his pace and relevant heart rate. Besides that, the long battery life is great advantage. Do you know if there are problems when there is cod outside? His previous running watch simply turned off when there were minus degrees outside. Garmin vívoactive Black is a perfect choice. Like you said the product from Garmin is so good that we trust the brand 100% because they have gained this trust with an excellent product. Garmin vívoactive Black is an example of it. About the cold, no I have not heard any problem with it. Thank you! I’ve been looking for a running watch for a good price. I am still trying to decide I like that the Letufit has an alarm but I’m not sure is the plus version has this option. I’m sure it should so I think I’m going to go with this one. Does it has the alarm feature? 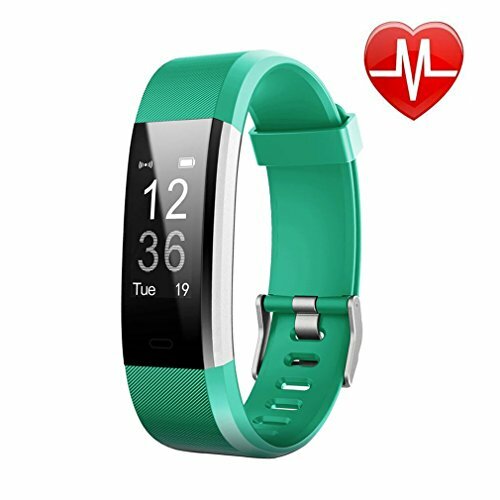 The Letufit Plus Activity Tracker With Heart Rate Monitor is a very good choice looking at the price. It´s different what people look at in the watches. Personally, I like most the fitness tracker because I used most the statistic for daily activities like total steps. But on the same time, I think it´s only plus to have more possibilities, you don´t need to use them if you don´t want it but it newer damage the other things. Thanks for this interesting review of best running watches. What is curious to me is: why would people want to monitor their sleeping patterns and wear a watch at night? I think you are right that runners are mainly interested in the three things you mentioned. So, why not keep it simple and keep the pricing reasonable! 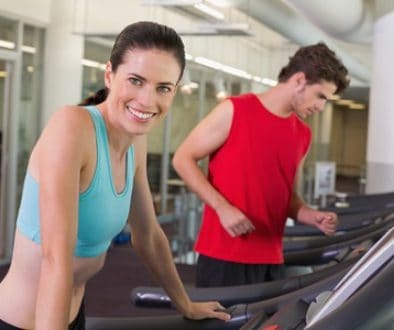 The reason for that people want to have the possibility to have Heart Rate Monitor all 24 hours in a day is that they want to keep track on the whole picture. What I have in mind that they always think how they can develop the lifestyle and body. 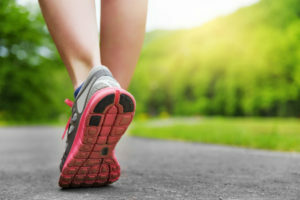 Part of it is to know how many steps they take in a day, how long they sleep and how many calories they burn all the 24 hours in a day. Running is part of the whole picture, important factor but the focus is more on the lifestyle as a whole. Most runners are more thinking about the run itself. So that is the way it is so important, when you decided what type of running watches you want, that you know what information you want to get from your running watches. And I must admit that I am pleased to be able to recommend so good running watches for this sum. And on same time give the people this possibility to decided what type of this running watches fit their ideas about how they want to use it.